Chogyal Namkhai Norbu as seen in MY REINCARNATION, a film by Jennifer Fox. All rights reserved. 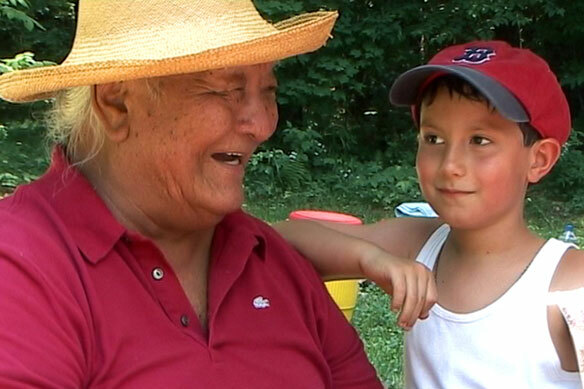 Filmed over twenty years by acclaimed documentarian Jennifer Fox (FLYING: CONFESSIONS OF A FREE WOMAN), MY REINCARNATION chronicles the epic story of the high Tibetan Buddhist Master, Chogyal Namkhai Norbu, and his western-born son, Yeshi. The film follows Namkhai Norbu's rise to greatness as a Buddhist teacher in the West, while his son, Yeshi, recognized at birth as the reincarnation of a famous spiritual master, breaks away from his father's tradition to embrace the modern world. Can the father convince his son to keep the family's threatened spiritual legacy alive? Never before has a high Tibetan Master allowed such complete access to his private life and it is doubtful that another ever will. With her signature intimate entry to both family and icons including the Dalai Lama, Fox expertly distills a decadeslong drama into a universal story about love, transformation, and destiny. 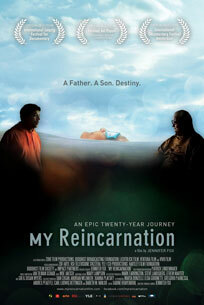 The feature length documentary, MY REINCARNATION, follows the renowned reincarnate Tibetan spiritual master, Chogyal Namkhai Norbu, as he struggles to save his spiritual tradition, and his Italian born son, Yeshi, who stubbornly refuses to follow in his father's footsteps. When Namkhai Norbu Rinpoche escaped Tibet in 1959, he settled in Italy, where he married and had two children, of which Yeshi was the first. Yeshi was recognized as the reincarnation of Rinpoche's uncle, a famous Dzogchen master, who died after the Chinese invaded Tibet. Yeshi grew up in Italy and never wanted to have anything to do with this legacy. 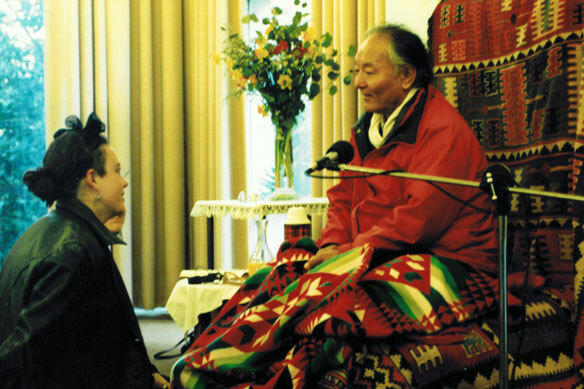 He didn't want to be a Teacher like his father, nor did he want to return to Tibet and the monastery of Rinpoche's uncle, to meet the students waiting for him since his birth--something that his father continually admonished him to do. Instead, he dreamed of a normal life, away from the hoards of devoted students that always surrounded his father. Through intimate scenes we see a young man grow from 18 years old to 39 years old and maturity; and a father who begins the story in his 50 year-old prime turns to 70 years and old age. As the story unravels what is at stake is Namkhai Norbu Rinpoche's spiritual tradition; for Yeshi it is his own identity. Will Yeshi's Western lifestyle replace his family tradition and his spiritual roots? Will his father succeed at transplanting the vanishing Tibetan heritage to the Western world? The stories of both the father and the son combine to make MY REINCARNATION a universal drama that taps into the classic narrative of family and inheritance. As time passes, both father and son begin to change, giving MY REINCARNATION the scope and depth of great fiction. 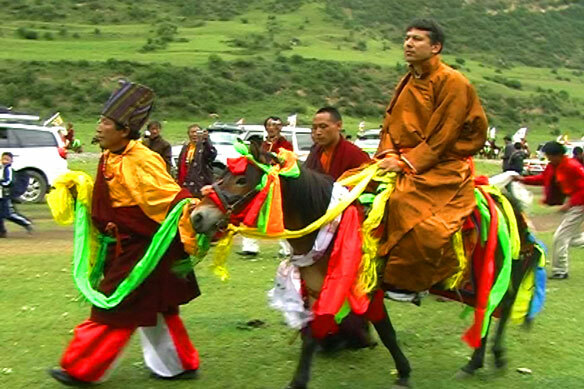 The film builds its narrative through a creative weave of archival film, still photographs, and over 1,000 hours of footage shot from 1988 to 2009: intimate cinema verite scenes with neverbefore- seen access to a high Tibetan Teacher and his family. In addition, the interviews done with Namkhai Norbu and Yeshi over twenty years provide a second text that is married to scenes to give insight and conflict, revealing the changing characters. The image of water and swimming, Namkhai Norbu's beloved pastime, is used as a repetitive thematic pillar through the film and a representation of his teachings of integration and emptiness. 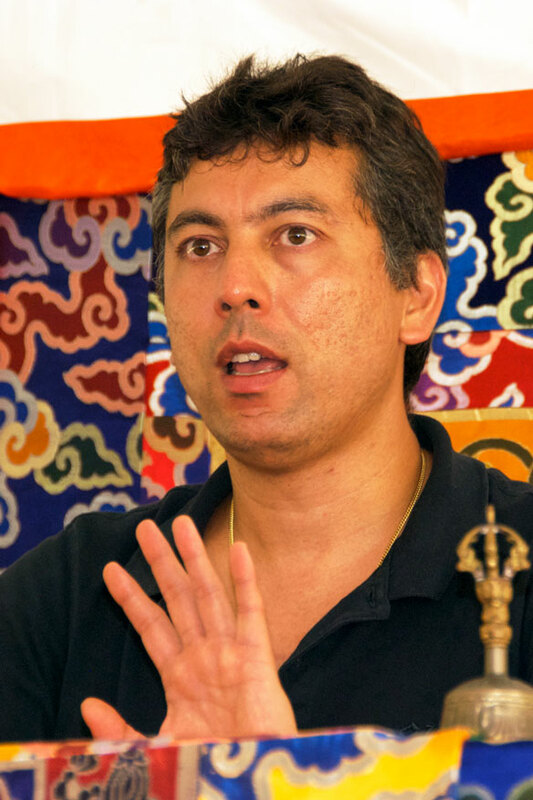 The natural sounds of chanting and song, combined with added effects and carefully scored music, is used to express a non-verbal sense of the spiritual world Norbu Rinpoche seeks to transmit to his son--and to the West. Through years of filmmaking, Jennifer Fox has honed her skills at documentary storytelling with projects such as BEIRUT: THE LAST HOME MOVIE (Best Documentary Film at the 1988 Sundance Film Festival and Grand Prix for Best Documentary at the 1988 Cinema Du Reel), AN AMERICAN LOVE STORY (premiered at the Berlinale and Sundance 1999 and Gracie Award for Best Television Series), and most recently FLYING: CONFESSIONS OF A FREE WOMAN (premiered at IDFA and Sundance 2007, theatrical release in the US). With MY REINCARNATION, she has applied these skills to transform this secret and esoteric subject into an accessible and powerful dramatic feature for a general audience. MY REINCARNATION has been made through a unique co-production with the Dutch Buddhist Broadcasting Channel, ZDF-ARTE, Swiss TV, YLE-1, Finnish Television and Italy and is presold to POV, the premiere documentary series on American Public Television. Yeshi Namkhai as seen in MY REINCARNATION, a film by Jennifer Fox. All rights reserved. 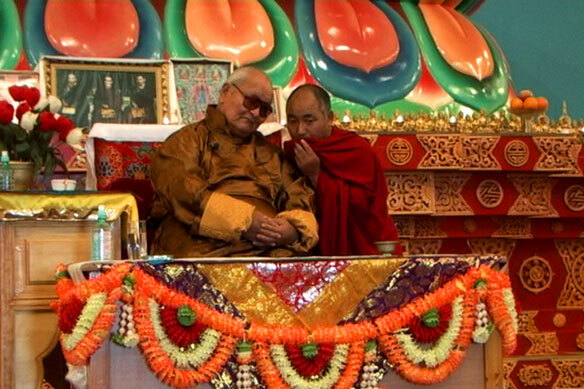 Chogyal Namkhai Norbu and the Dalai Lama as seen in MY REINCARNATION, a film by Jennifer Fox. All rights reserved. As the curtain rises, Hannah hesitantly steps onto the stage for her theatrical debut in college. Yet before she can utter her first lines, Hannah--unscripted--collapses in front of the stunned audience.